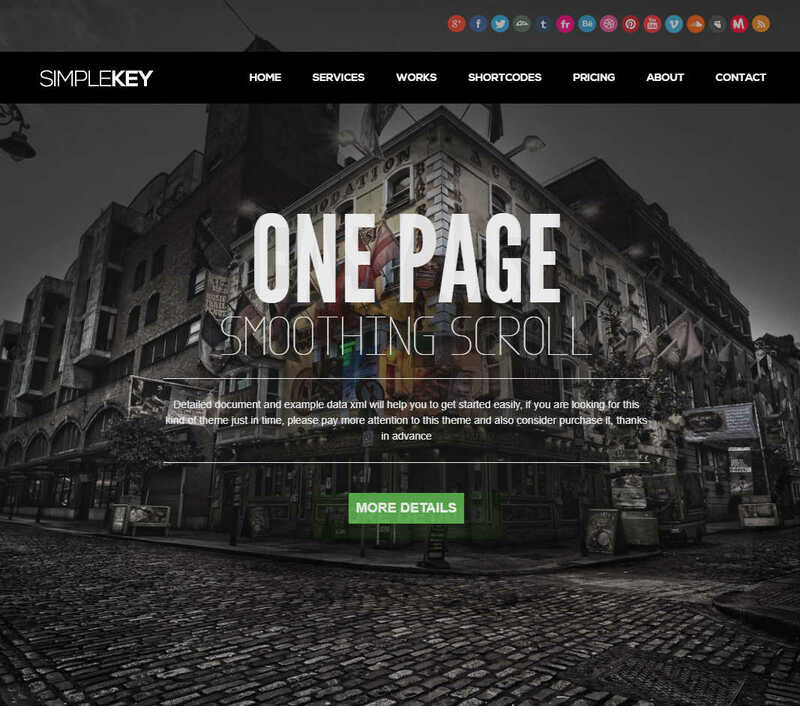 Creating a stylish portfolio site becomes a lot easier when you use a suitable theme like SimpleKey. The one-page layout will allow the visitors to find all the necessary information without loading any additional pages. The filterable portfolio display will enable them to check out your previous works. Other ways to show off your experience is to use the integrated Flex Slider, or display videos from YouTube and Vimeo. The custom contact form can be placed anywhere you want. As SimpleKey comes with complete Google Maps support, you can easily display your location along with the form.